We offer both plug and receptacle mated pair with filtered capability for standard or custom RF signal requirements. Housings can be fabricated as one-piece or two-piece customized assemblies for unique applications including ceramic inserts. Matched and compression sealing for standard as well as custom products. By Precision Hermetic Technology (PHT) based in Redlands, CALIFORNIA (USA). ESYMicroLIDAR is very powerful tool for 3D dynamics observations of aerosols load, clouds properties and PBL height. Our housings are fabricated using a one-piece shell construction for ultimate strength and performance. Polarizing keys, bayonets and other hardware are machined in, providing a more robust product with long-term reliability. Headers are available for a variety of different applications such as thermal or lithium battery covers, relay bases, or 'black box' assemblies. We manufacture a wide array of machined, stamped or coined headers. 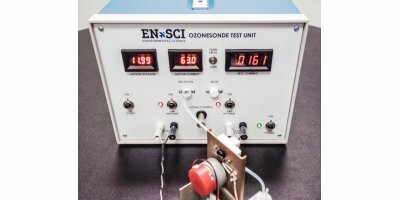 The ozonizer/test unit is designed for conditioning ECC Ozonesondes with ozone and for checking the performance of the sondes prior to flight. Radolid Protection Caps will ensure proper bolting, even after years of exposure to the elements. At left is an example of bolted joints with RadolidProtection Caps (one cap cut open) and without protection caps. After a five-year test, the effects of atmospheric corrosion is very damaging and therefore costly. By Advance Products & Systems, Inc. based in Scott, LOUISIANA (USA). By Eco-Dec S.A. based in Berneau, BELGIUM. By Balcan Lamp Recycling based in Horncastle, UNITED KINGDOM. In short: AirProbe is a compact device that fits onto a PT-100 temperature probe. It communicates over bluetooth with a free AirProbe D86 app for iPod/iPhone that lets users create custom test programs, enter sample ID, monitor en record temperature & time real-time, store up to 20000 test results and do much more. By Radiometrics Corporation based in Boulder, COLORADO (USA). 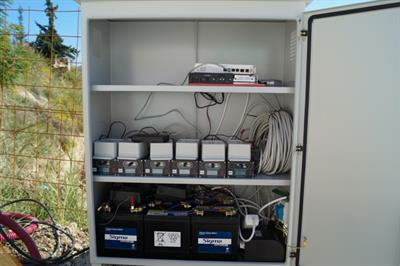 Automatic and autonomous station that acquires meteorological data in real time, and processes and transmits them to a central server (platform). MERCURY is a modular station used for multiple tasks (national weather network, agriculture, highways. The DCX-38 VG is an autonomous instrument for recording water level with a high resolution and full scale ranges as low as 0,5 mWC / 50 mbar. It features a rugged, gold-plated ceramic diaphragm for outstanding long-term stability and stainless steel housing with user serviceable battery for long service life. 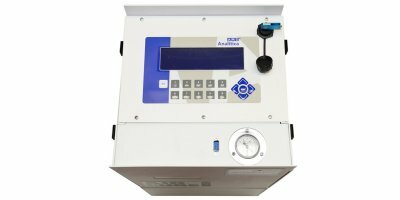 Viscosity Process Analyzer VISC-4 is a continuously kinematic viscosity measuring capillary analyzer suited to measure the viscosity of a product. 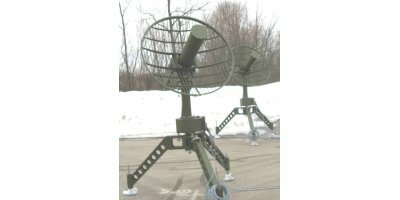 The VISC-4 operates online. It serves to monitor/maintain product quality for the in-spec production of mineral oil products. Ambassador Heat Transfer Company specializes in manufacturing Steam Surface Condensers for steam turbine exhaust. Each Surface Condenser is engineered to offer optimum performance for the turbine application. By Edwin Elliot & Co., Inc. based in Lafayette Hill, PENNSYLVANIA (USA).